awesome card, Stephanie. We all pray that others have reasons to give thanks this year. Thanks for playing in the Path of Positiity challenge this month. This is such a great card. Perfect scripture and sentiment to go with your images. Thanks for playing along with us at PDE Linky Party. Very nicely crafted! Love the use of the tradition images and colors of Thanksgiving. Thanks for taking the challenge this week here at Shopping Our Stash! What a sweet Thanksgiving card. Lovely! Thanks for joining the Shopping Our Stash crew this week for our "Thankful" challenge! Beautiful cards. Perfect for our Gratitude challenge. These are sweet! Your doodled borders really tie things together well and the "artistic license" touches add lovely detail. Thanks for joining our Turkeys or Pumpkins Challenge at Craft Your Passion this week. I hope we see you again soon. Beautiful card. 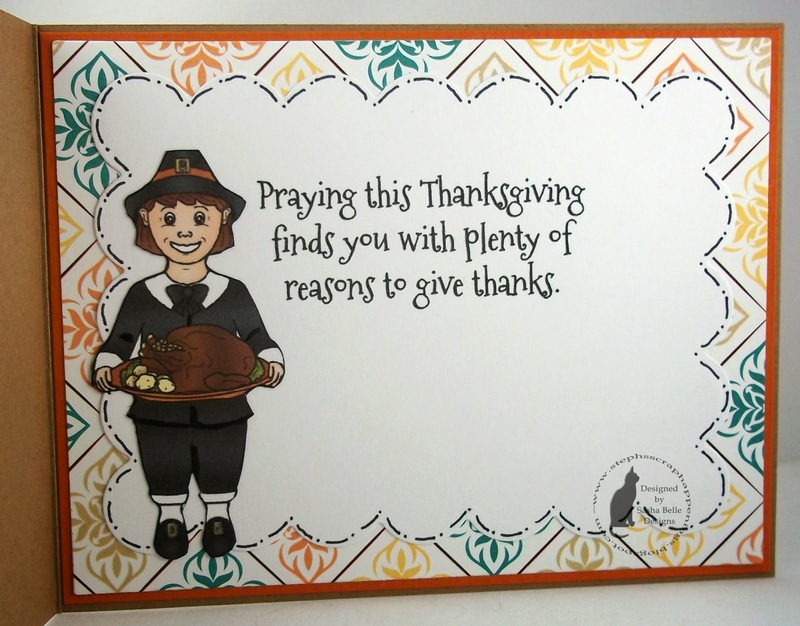 Thanks for joining us this week for Give Thanks at Eureka Stamps. Very cute and great details! Thanks for joining us at Eureka. Happy Thanksgiving to you! Beautiful wording and I love the autumn hues and how you carried the design through to the inside. This is so perfect for our GRATITUDE theme this month. Thanks for sharing your talent with us and good luck.